Yes already I see I’m going to have to do this in parts, photo and info heavy post right here. 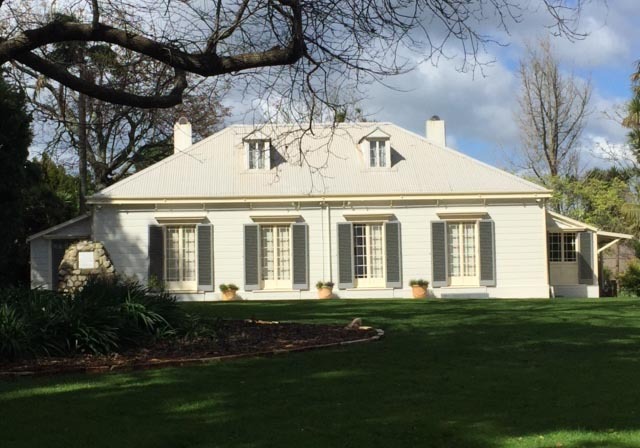 I’m not long back from my wee jaunt across the ditch… to New Zealand that is. Yes… my travel companions were amused by the constant use of the word ‘wee’ everywhere we went. Me being a Kiwi lass, I was not at all surprised and found it familiar and comforting. 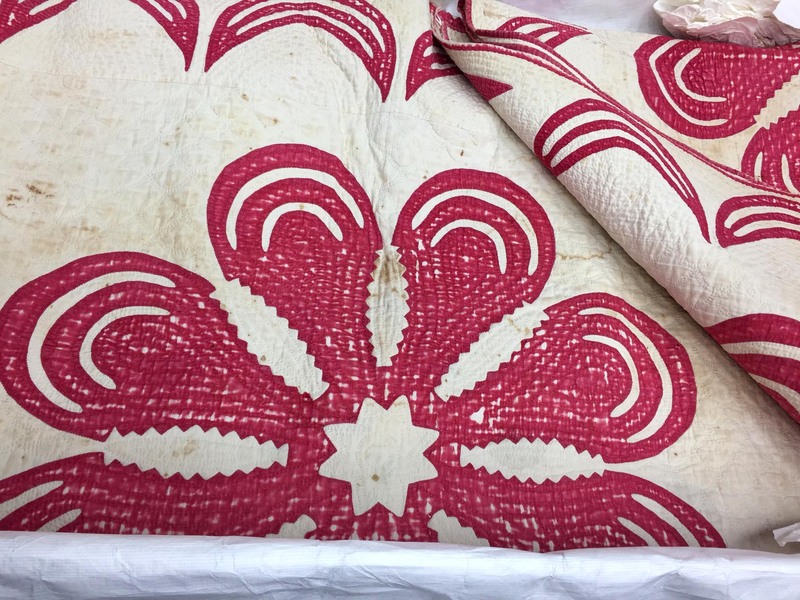 The purpose of going was to see Antique New Zealand Quilts, I’d already seen one a few years ago … my Miss Hitchens’ Whimsy from Quilts from the Colonies was inspired by a coverlet from Te Aroha which I saw in 2014. And I knew there were more scattered around the country. 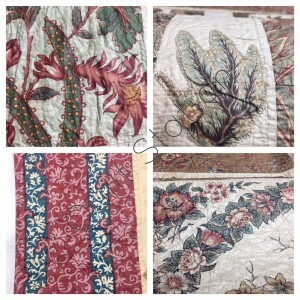 Anne Romsey Coverlet c1795-1830 Dedham, Sussex, England. In the Collection of the Auckland War Memorial Museum. If I didn’t have your attention before, I should have it now! This is only one of the eleven quilts and coverlets seen in just four museums in NZ’s North Island. 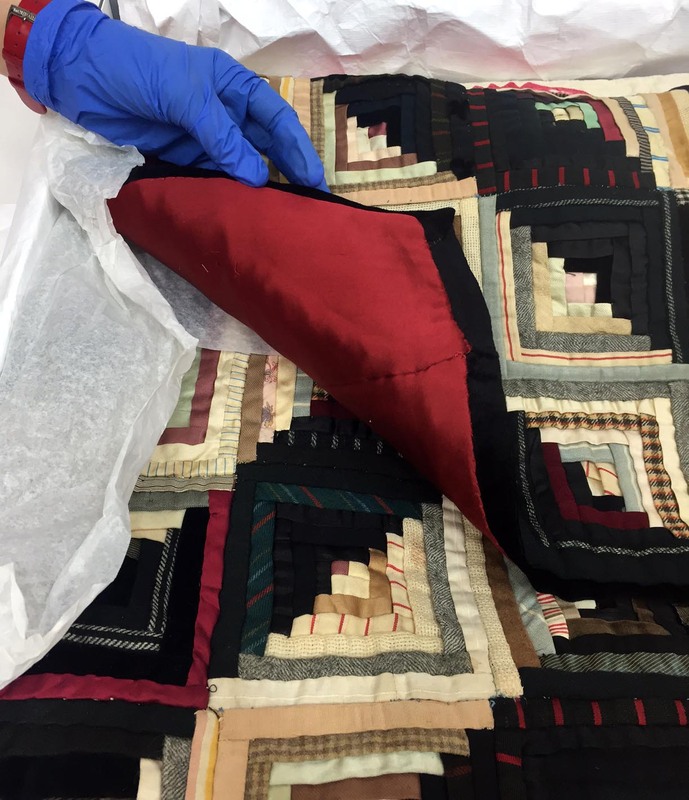 I’ve been planning this study trip for some time ~ researching quilts and coverlets of interest and working with the museums as most of these quilts are not on permanent display. The four museums we visited have all been very generous with their time and collections. Janet O’Dell was a key member of the trip too as she brought with her not just some British antique quilts to study (more on that later), but also her wealth of knowledge. And I know the museums gained as much from her as we did from them. Let’s make this a fairly ‘photo heavy’ post shall we. And I’ll reference where I can, what was seen, and where you can see more images of the textiles online. 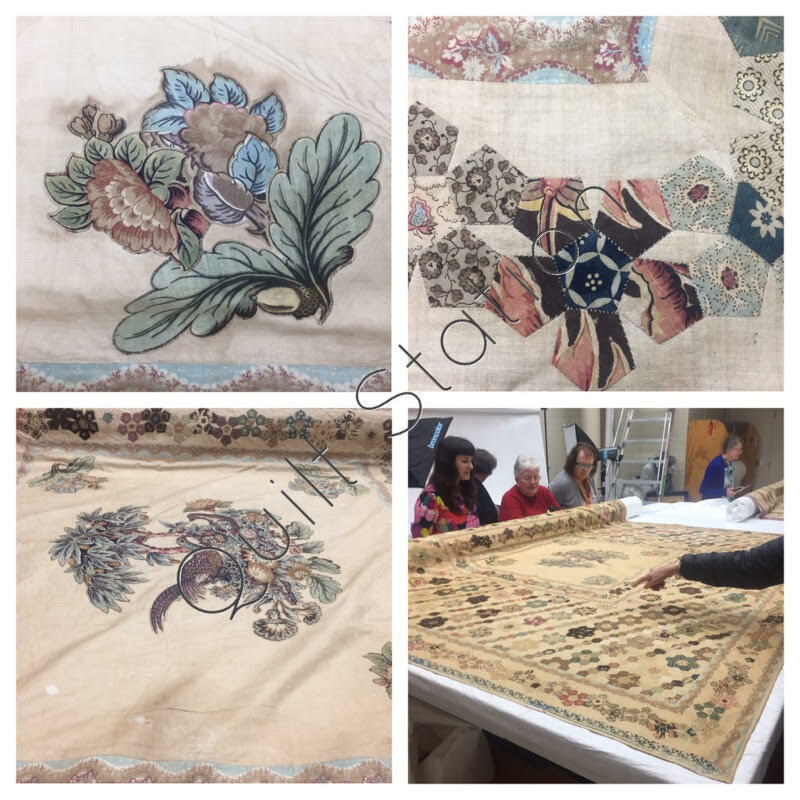 Day one saw us bright and early to Tamaki Paenga Hira -Auckland War Memorial Museum to view two coverlets. 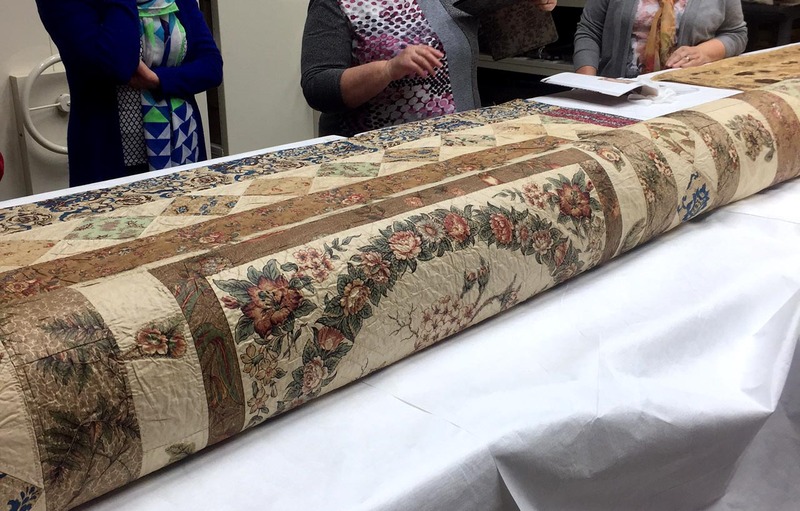 We then saw a late 18th c Irish Coverlet, maker unknown. 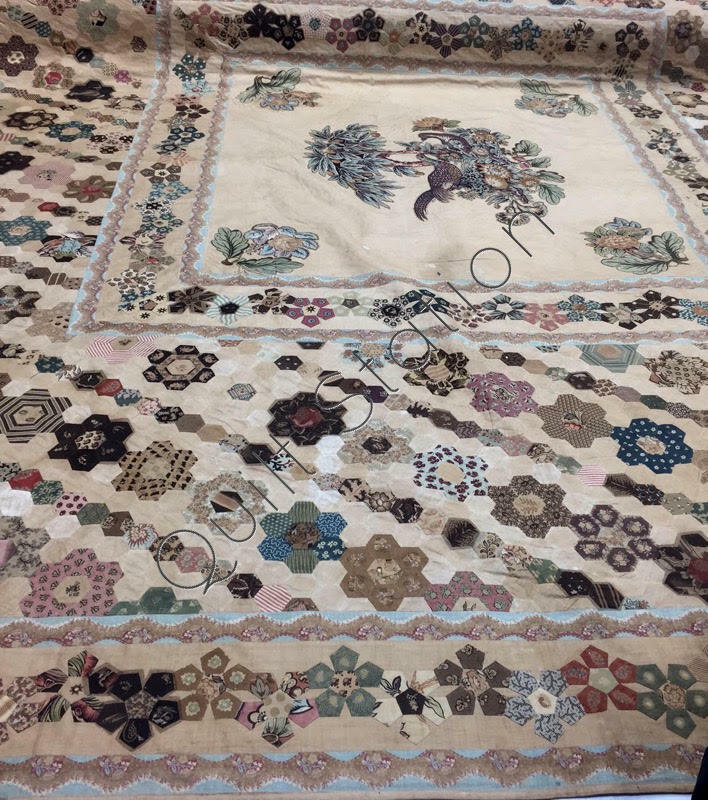 It was in the medallion style of much earlier coverlets so at first one would think it was a much earlier piece. It’s in very good condition with the Chintz still highly glazed. Irish Chintz Medallion c 1880-1890 Maker unknown. Then we spied a box that looked suspiciously like a quilt archival box! 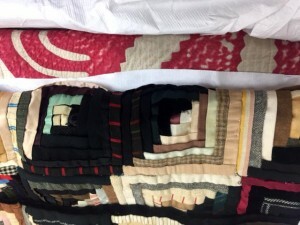 We had a bonus two quilts to view! … The red and white quilt is quite fragile, so that stayed in the box but we were able to carefully unfold sections for a better look. Circa 1840 from North Carolina, USA Maker unknown. 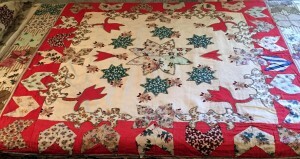 Red and White applique quilt, North Carolina. USA. c 1840. Maker unknown. 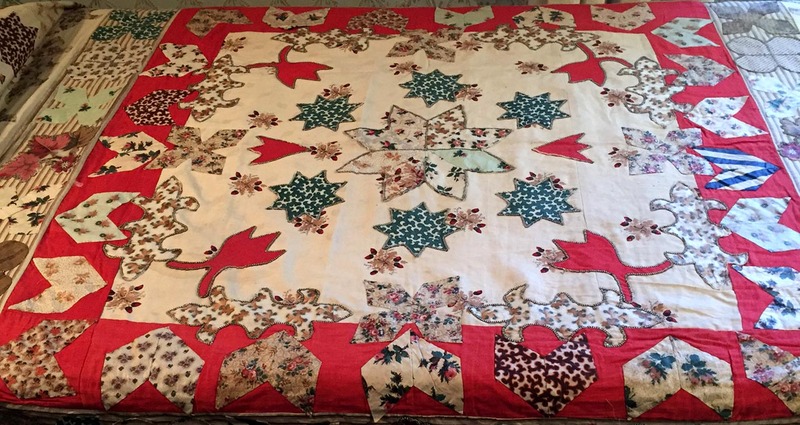 And the final quilt was an early 19th c Log Cabin Quilt from England, maker unknown. 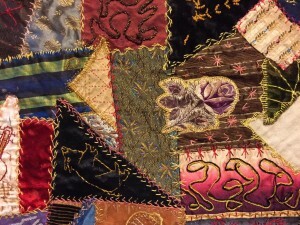 An assortment of cottons, wools and silks are used here. 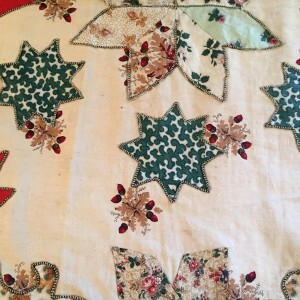 Early 19th Century English Log Cabin quilt. Wool, silk, cotton. Maker unknown. We were then treated to a rare opportunity to have a wee peek in archival drawers. As Jane said…”let’s just open a random few and see what’s there” Lots of interesting early stitched samplers featured heavily along with early colonial artefacts. These I didn’t have permission to share but I would encourage you to search through the museums extensive online collection to see what you find. Heartfelt thanks are extended to Jane Groufsky, Associate Curator Applied Arts and Design at Tamaki Paenga Hira – Auckland War Memorial Museum. Our visit exceeded our expectations as you were so generous with your time. 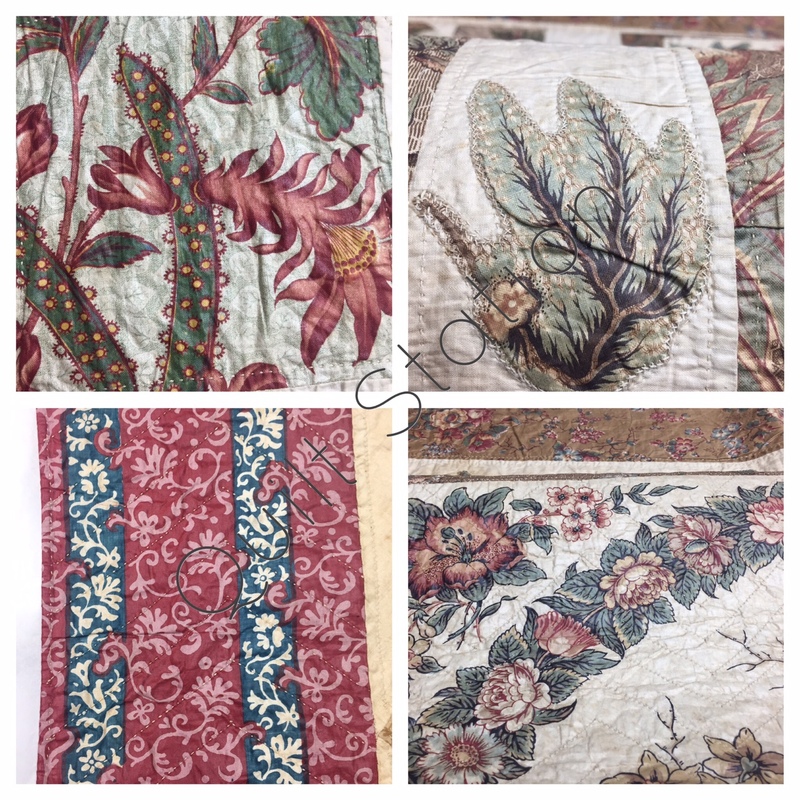 Two quilts are here and both were made by Scottish migrant Euphemia Ballingall Maxwell (1830-1918). 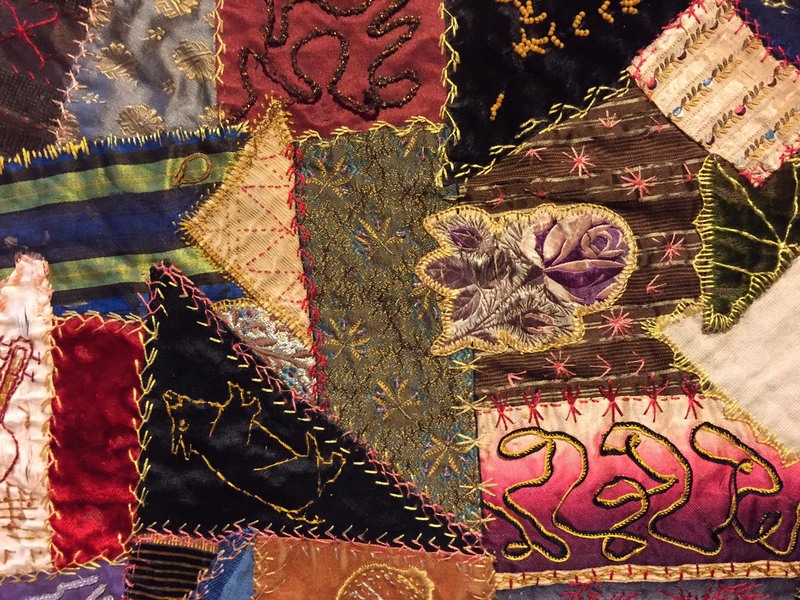 Euphemia worked on the crazy quilt from 1887 and completed it just prior to her death in 1918. 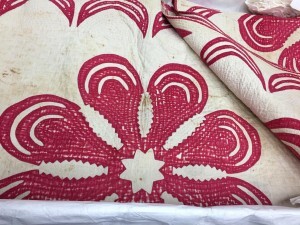 Her applique coverlet is believed to have been made or completed by Euphemia after her arrival in New Zealand in 1865 so both these quilts are New Zealand made. It is readily available here. 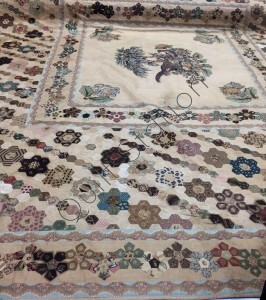 Euphemia Ballingall Maxwell’s Applique coverlet 102″ square. Centre section. 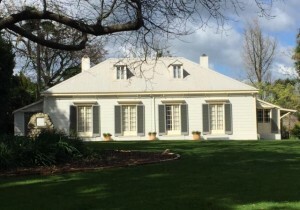 A return visit to The Elms is already on my agenda… what an interesting historic home it is. Thank you to the staff and especially our knowledgable guide Barbara who brought the family alive for us. I am going to hit publish for this post and get straight on to part 2. I think otherwise it’s just going to be way too much… not a wee post at all. Thank You Magaret for sharing these pictures. The Anne Romsey Coverlet is breatthaking!!! How nice would it be to have a pattern from that coverlet.